Telewizja Polska Spółka Akcyjna (TVP S.A.) respects and observes the rights of users to privacy. 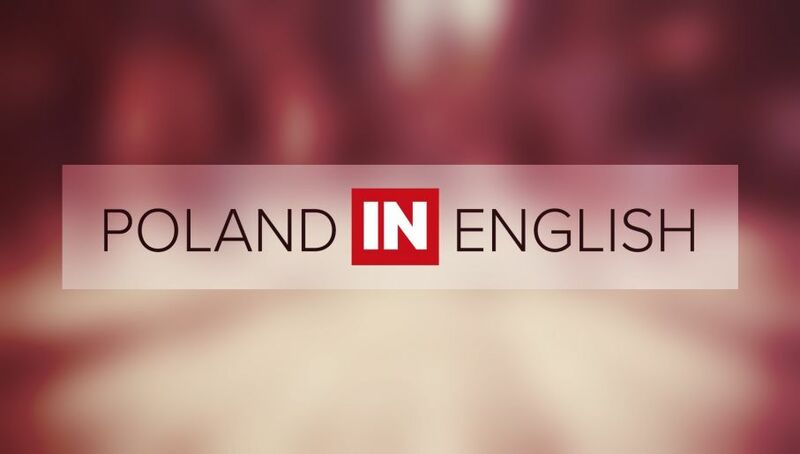 Below you will find information about how we collect, process and use information about the users of the Poland In English service operating as part of the tvp.pl portal and how we protect the personal data of the users by applying appropriate technological solutions. Personal data are any information concerning identified or identifiable natural persons. All personal data are collected, kept and processed in the tvp.pl portal in accordance with the provisions of the Personal Data Protection Act of 29 August 1997 and the Act on Provision of Electronic Services of 18 July 2002. Provision of personal data is voluntary, however, detailed regulations can indicate personal data which must be provided in order to use the service stipulated therein. The data are protected against unauthorized access and used by TVP S.A. solely for contact with the users, necessary as part of rendering a given service. The personal data are collected, kept and used by TVP S.A. upon the consent of the persons whom they concern, in accordance with the law and in line with appropriate procedures and in a manner guaranteeing their security. The administrator can use the personal data solely and exclusively for the purpose of ensuring appropriate service of the portal’s users and communicating with the users who gave their consent. The personal data filing system is treated as a highly secured database kept on a server protected against remote (IT) access as well a physical access. Moreover, every person processing the users’ personal data for the purposes of the tvp.pl portal has an appropriate authorization granted by the personal data administrator in line with Article 37 of the Personal Data Protection Act. The personal data administrator does not convey (sell or lend in any way) the collected personal data of users of the tvp.pl portal to third parties. The data which the administrator may disclose to entities cooperating with him have a form of general statistical summaries not making it possible to identify individual users. For technical reasons the administrator may entrust, in line with Article 31 of the Personal Data Protection Act, another entity, by way of an agreement concluded in writing, with processing the data without changing the aforementioned purpose of processing them. On the tvp.pl portal we also collect information contained in the system logs (for instance, IP address). They are used for technical purposes associated with administration of our servers. IP addresses are also used to collect general statistical demographic information about the portal’s visitors. Data of particular importance – in particular, all types of passwords – are transmitted using an encrypted SSL protocol. The tvp.pl portal does not automatically collect any information except for information contained in cookies. Cookies constitute IT data, in particular, text files which are stored in the end devices of the portal’s user (for instance, computer, cell phone) and are intended for the use of the portal’s websites and make it possible to read information contained in them only by a server which generated them, in this case TVP S.A.. Cookies used by TVP S.A. contain the name of the website from which they come, the duration for which they are stored on the end device and a unique number. The entity placing cookies on the end device of the portal’s user and having access to them is the portal’s operator Telewizja Polska S.A. with registered office in Warsaw at ul. Woronicza 17, 00-999 Warszawa. Some of the information coming from the cookies stored on the end device of the portal’s user can also be disclosed to advertisers and partners cooperating with the portal’s operator. TVP S.A. is not responsible for the contents of the cookies transmitted by other websites to which links are published on the websites of the tvp.pl portal. - to deliver advertising contents better adjusted to the user’s interests. - persistent cookies - files which are stored in the user’s end device for a time set in the cookies’ parameters or until they are removed by the user. - advertising cookies making it possible to deliver advertising contents better adjusted to the user’s interests. The end user may give his consent to cookies from the portal being stored on his end device through the settings of the software installed in the end telecommunication device used by him. More information about cookies is available in the “Help” section of the web browser menu.